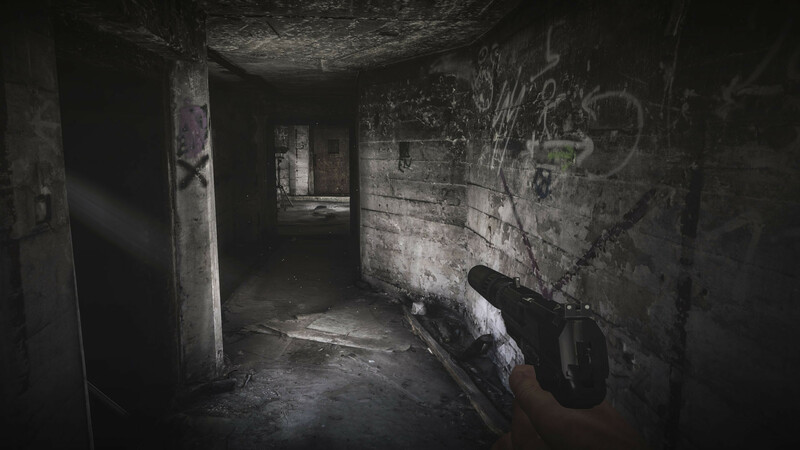 The Farm 51 announced Get Even in early 2014, an FPS with the vibe of a psychological thriller. The game suffered quite a few delays, but last year the Polish studio announced a deal with Bandai Namco to publish the game on PC, PlayStation 4 and Xbox One. Get Even is finally set to launch on May 26th worldwide. We’ve published a hands-on preview from a press event a few weeks ago and we’re now following up with a brief Q&A with Game Director Arthur Fojcik on the game’s development phase, its longevity, port details and potential plans for the Switch. Look forward to our full review later this week. In terms of story and gameplay, what (if anything) changed during the course of Get Even’s long development? I don’t really feel that the most important, core ideas have changed during development but we were strongly adjusting the proportion between them. At some point, we achieved the perfect pace of the game and we came to understand, that the most unique features of the game are not the mechanics themselves, but how they blend with other elements. It is similar with the narration, I don’t feel that we have invented new tools to tell stories, we are just using classic tools in a way no one has ever done before. What can you tell us about Cole Black without spoiling too much of the plot? What were your inspirations for this kind of story, anyway? Games rarely dabble into the psychological thriller genre. We searched for inspiration in movies like Inception, The Matrix, The Butterfly Effect, Source Code or Memento. But actually, I don’t want to focus on game references, since our main target was to create a very unique experience, therefore making comparisons feels like failing this objective. Do you have an estimate of how long it will take to complete Get Even? Are you encouraging multiple playthroughs to understand the full scope of the story? We used a standard way to measure that–focus tests. We chose 10 people, asked them to play the game and measured the time while looking how they were playing. The players focused on action should be able to finish the game within 9-10 hours, explorers should stick with Get Even for around 12-15 hours. We didn’t check how much it will take a player to find out all the secrets in Get Even but I can estimate it around 40-50 hours. And yes, Get Even has got a great replay value, because with the second playthrough you can take a look at the story from a completely different perspective. You can also make different choices and therefore reach a different ending. Are you preparing dedicated enhancements for PlayStation 4 Pro and if so, which ones? What do you think of the console as a whole? We are, unfortunately, a too small developer to be able to focus deeply on PS4 Pro so we used “safe enhancements”. The game supports 4K on Playstation 4 Pro while the effects in the game and the framerate stay similar on both consoles. For the PC, do you plan support for DirectX 12 and/or Vulkan APIs? What about multi-GPU configurations? Of course, we are using AMDAGS and NVAPI so both Crossfire and SLI are supported. However, please remember that we are using Unreal Engine 3, heavily modified but still just UE3. Get Even is looking good and running smooth but it’s not AAA production. Finally, what do you think about the Nintendo Switch? Would you consider a port there for Get Even, or perhaps one of your next games? We were too busy with Get Even to research this market. Still, we are very intrigued by how this platform is doing. The decision about porting Get Even on specific platforms is in the publisher’s hands, but new games? We will keep our minds open.